This is the first of two episodes this month. In August 1943 at the Quebec Conference the Allies began the initial discussions for what would ultimate become Operation Overlord, the invasion of France in 1944. 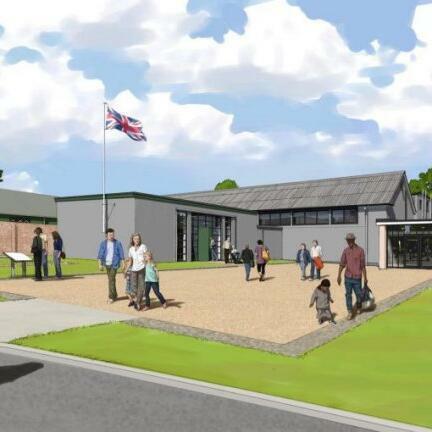 So it seems fitting that 75 years later Bletchley Park have released the plans for what will be an exciting new exhibition opening in spring 2019. D-DAY: Interception, Intelligence, Invasion will tell the story of the vital role that GC&CS played in informing the D-Day invasion, it will introduce the people involved and show how different kinds of intelligence were used by the Allies to enable the invasion of Normandy on 6 June 1944 with precise detail. In this episode we will take you behind the hoardings of The Teleprinter Building. Our Research Historian Dr David Kenyon tells us how the restoration has revealed a wealth of new insights into the buildings and Exhibitions Manager Erica Munro explains why this story is so important.